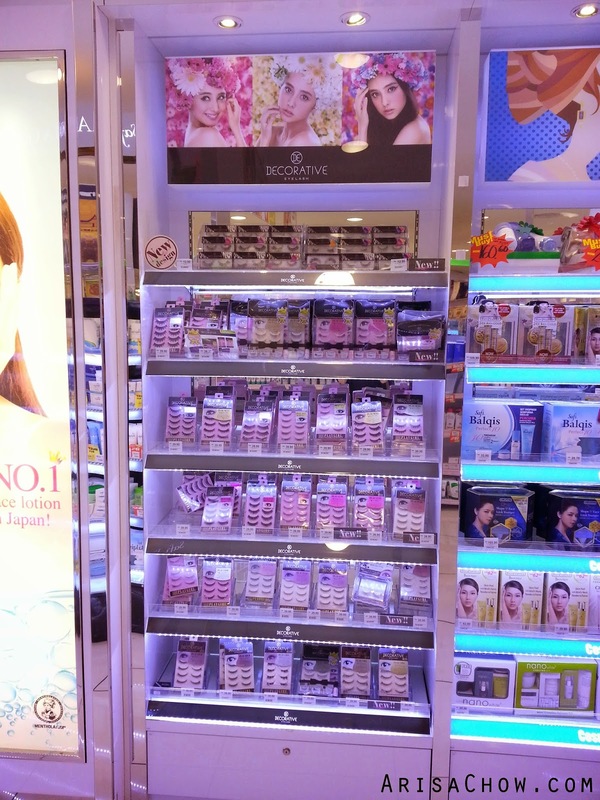 Came across this famous Japanese brand of lashes at the least expected place ever! Guess where. It's not Sasa, Watsons or Guardian but AEON WELLNESS lol. I know after AEON took over Jusco and carrefour (now re-branded to AEON BIG) more and more Japanese branded stuff were brought into their shelves. Logical, as anyway AEON is a Japanese company and if you watched the movie 'Kamikaze Girls'you would have noticed it too lol. Aeon Wellness isn't one of those fancy pharmacies where people would even think of getting their cosmetics there (seriously) as our idea of pharmacy is usually Guardian and Watsons. 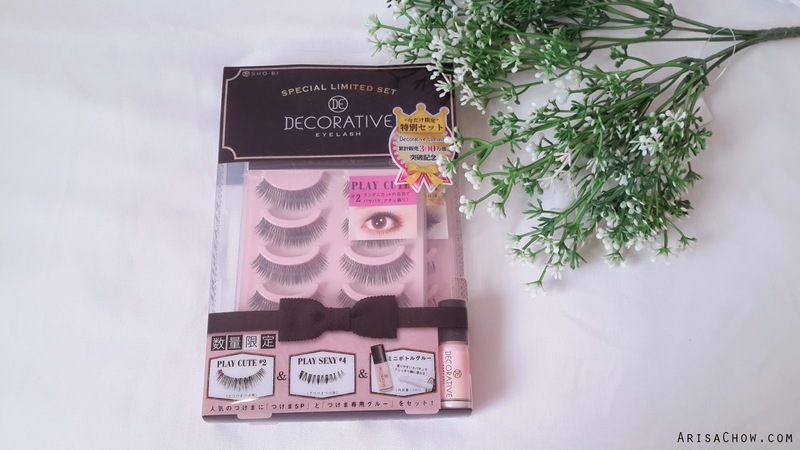 Every single time i see photos of my friend's haul from their Japan trip always include a variety of false lashes and make up as it's pretty cheap over there. 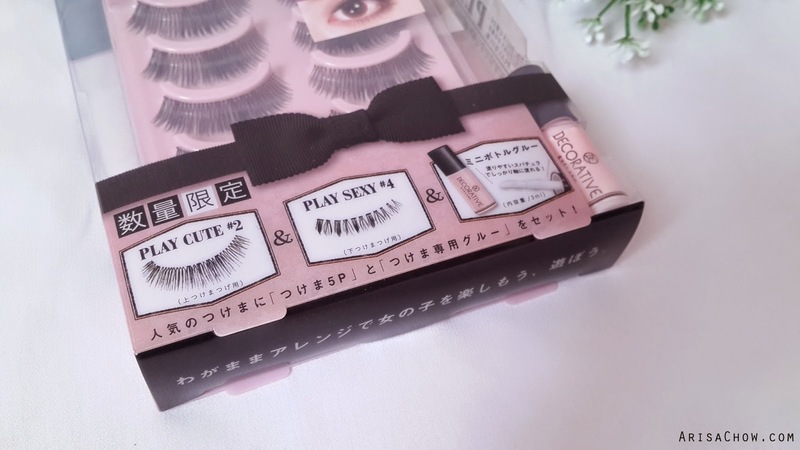 SHO-BI is one of the brands that constant comes out with all kinds of eyelashes and even these Disney range where they featured Minnie mouse and Daisy Duck. 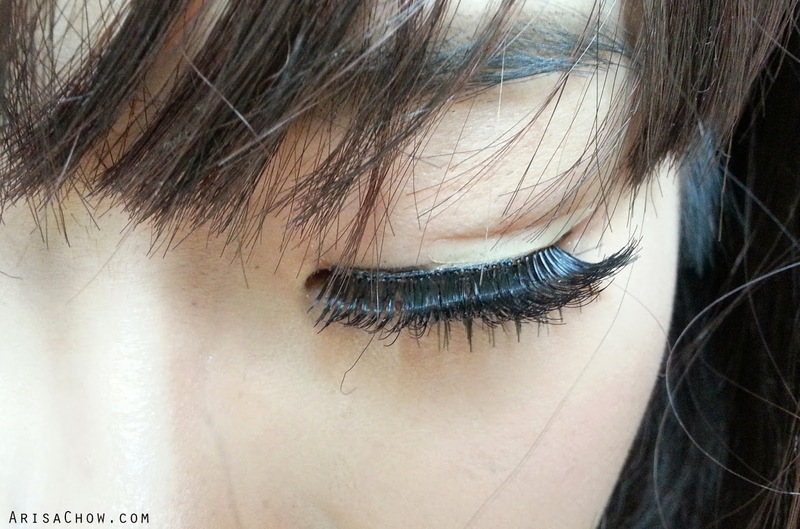 I've always wanted to tried those pretty lashes ever since i saw them on QiuQiu's blogpost a few years ago. 2 sets in each box, 1 upper lash and 1 lower lash design inclusive a small bottle of their glue. After my hospital treatment about 2 weeks ago, my mom brought me to Aeon Big at Subang Parade to get some groceries. Out of boredom i walked into Aeon Wellness because their new revamped looks really sleek and BRIGHT. Literally bright i tell'ya, can wear sunglasses liao. I am super glad my curiosity got the best of me because i found this!!!! Limited edition set for only RM39.90! Many cosplayers have asked where they can get some good quality, yet affordable lashes for their cosplays. 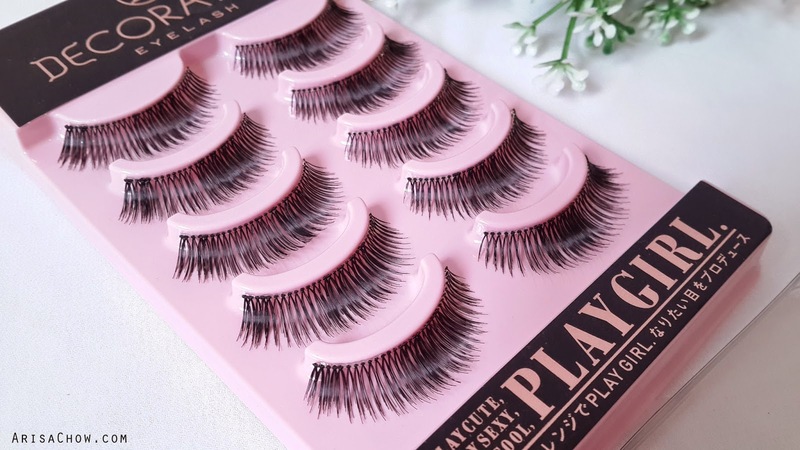 Most false lashes in Sasa are really expensive, though the quality is superb but i do understand coming from students paying almost 60 bucks for 2 pairs i just not worth it. Look no more cosplayers, you all can now use a pair of good lashes for only a fraction of the usual prices. 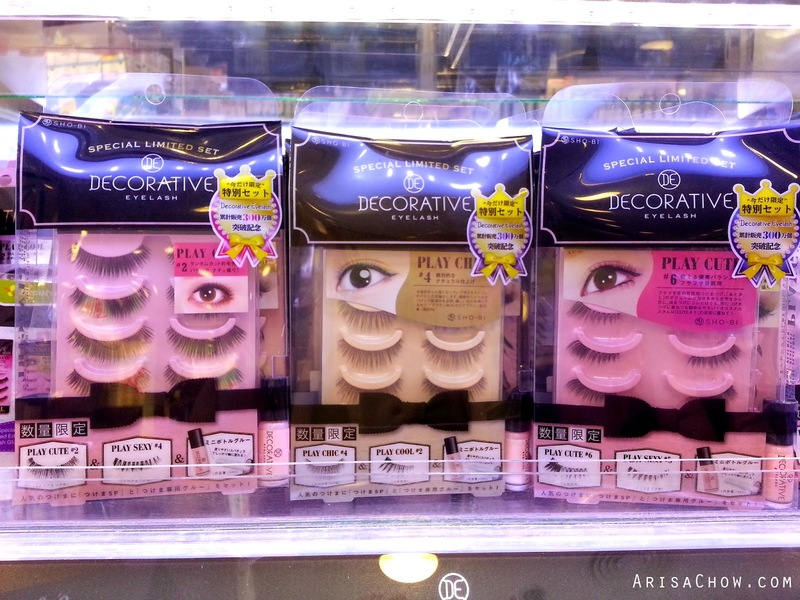 Trust me when i say there is a HUGE difference between cheap Pasar Malam lashes and Branded Ones. 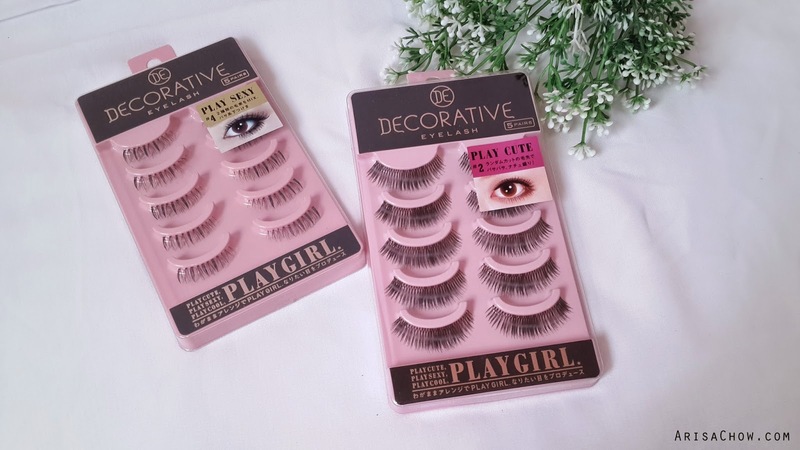 See how fine and soft the lash fibres are unlike those stiff cheapo lashes that irritates the hell out of your eyes. I also find it rather odd that i am only comfortable taking photos whenever i wear my wig, maybe it's cuz my face has grew so much rounder that i am ashamed to take photos of myself liao. Now my confidence level is like 0 now thanks to the sudden 10kg weight gain. Yea, 10kg...fml..super duper depressed now. Combining those two lashes from 'Decorative' this is the outcome which is really satisfying for an innocent yet seductive look. Don't lined your entire lower eye rim with eyeliner till you have applied the lower lashes because that would result the most unnatural way of enlarging your eye. It wouldn't look natural and seriously it would look super duper scary lol. 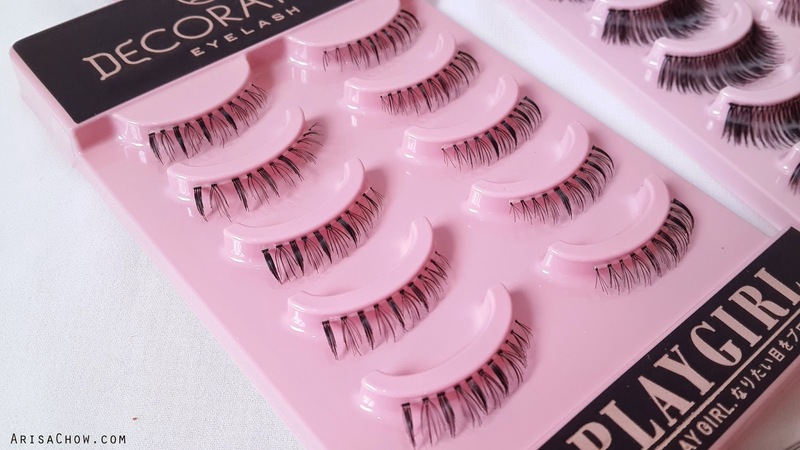 Make sure to curl your real lashes with a mascara curler before applying the top one then use the curler to curl both your real lash and the falsies together. To seal the deal and making it look more convincing, use your favourite mascara. Just one coat would do only for the top, not for the bottom. I can wear them everyday if only my wig was my real hair lol. But sadly my hair is short and makes my face super round as hell, would do anything to have beautiful long wavy hair again. Hope this review is super helpful especially for those who are on the hunt for quality fake lashes that doesn't burn a hole in your wallet. It's available at all AEON WELLNESS pharmacies. Get them while stocks last, i am not exactly sure when they were first released but yea..saw the stock in Mid Valley wearing thin already. This is NOTDon't think Aeon Wellness even has a PR department lol which is rather sad because there are just so many Japanese brand of products from head to toe sold in their pharmacies.